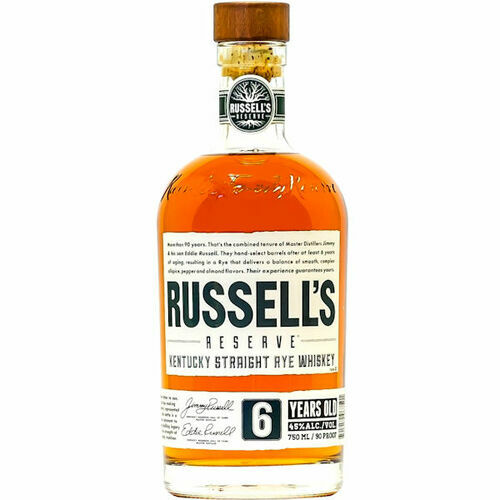 From Master Distiller Jimmy Russell and his son Eddie Russell, this tawny and full-bodied whiskey evolves on the palate. At first, it features orange peel, vanilla and caramel, then dry leather and cocoa notes midpalate, and finishes long and lean with clove and allspice accents. Dilute to taste, sip slowly and consider all the complex flavors. 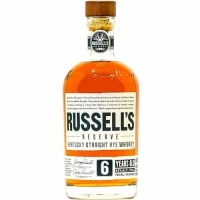 Russell's Reserve 6-year-old Rye is matured in the deepest no. 4 char barrels, aged in the "center cut" of the rick house and is hand selected only by Jimmy and Eddie Russell. Smooth; complex all spice, pepper and almonds.